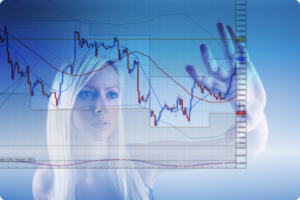 Technical analysis is one of the ways traders, in any market, explain and make sense of price. Traders use the principles of technical analysis to help them explain what has happened in the past and also to predict what will happen in the future. The other school of thought in explaining and predicting market action is fundamental analysis. This involves understanding the underlying forces that drive price—such as profits or revenue in the case of a stock, or interest rates and GDP in the case of a currency. This article will focus on one aspect of technical analysis—chart patterns—and we will provide an overview of some common chart patterns and why they work. Two of the most basic concepts in technical analysis are the concepts of support and resistance. When the price reaches a point beyond which it cannot sustain itself, this level is known as support or resistance. If the price cannot fall below a given level reliably, the level is support. If the price cannot rise above a given level reliably, that level is resistance. Chart patterns are shapes and patterns that are formed by buying and selling forces interacting in a market. It may seem a bit like trying to make predictions based on looking at tea leaves or the entrails of a goat, but there is a rational reason why these shapes and patterns have meaning. Double tops and double bottoms – double tops and double bottoms are simply where the price has attempted to cross a price level twice and failed. This pattern is typically traded with the assumption that the resistance will hold since it has failed twice. Anyone who bought expecting the price to rise above the resistance level will be selling to get out of a losing trade, adding selling pressure to the pressure that caused the resistance to hold in the first place. This added selling pressure causes the price to go down. When the price falls below the neckline, a further down move in price is highly probable. Here’s how you can trade double tops and double bottoms. Rising and falling wedges – these represent a narrowing price range in a market, moving either upward or downward. The pattern is a reversal pattern, so the probability is high that price will breakout in a reversal against the direction the wedge was pointed. A rising wedge is characterized by lower highs and lower lows, while a falling wedge is characterized by higher highs and higher lows, but the narrowing range over the course of the pattern is what separates a wedge from a channel, forming a shape that narrows at one end like a wedge. Head and shoulders and inverse head and shoulders – these are composed of a peak (the left shoulder), followed by a larger peak (the head), followed by a peak of similar magnitude (the right shoulder) to the first peak. The left shoulder trails off into a valley before rising to form the head. At this point, it looks like a normal wave on an upward trend. After the peak of the head is formed, sellers enter the market to take profits, pushing the price to the valley between the head and the right shoulder. After the right shoulder is formed, anyone who bought during the rally that formed the peak of the right shoulder will begin to realize their trade is wrong and will begin to sell. This is the driving force behind the downward move that occurs when a head and shoulders pattern is formed. This is all true for the inverse head and shoulders pattern as well, though inverted. Bearish and bullish flag patterns are named after their similarity in appearance to a flag on a flagpole. The flagpole is formed by the trend, whether upward or downward. The flag part of the pattern is a pullback that runs counter to the trend or a sideways range. These are trend continuation patterns, so the prevailing trend before the flag forms then continues after the flag has completely formed. Bears who sell during the pullback or flatness are caught when the price begins to move up. When they close their positions, it adds more pressure to the buying that moved the price up. This can create an even more powerful movement than the initial trend. If the price range of the market contracts during the flag, it is sometimes called a pennant. These are traded the same way and work for the same reason. Here is one way to trade a bullish flag pattern. Chart patterns may seem like magic, but there are perfectly rational reasons why they work. However, they are by no means infallible. They are simply patterns that suggest conditions that we know give us a statistical edge. They are not about knowing exactly what the market will do, but about knowing what the market will do statistically over time in those situations.